Tibbetts's commutation is the third in the United States in 2018 and the second in Ohio. On February 22, Texas Governor Gregg Abbott commuted Thomas Whitaker's sentence to life in prison, and on March 26, Gov. 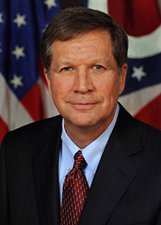 Kasich granted a commutation to William Montgomery. (Andrew Welsh-Huggins, Gov. Kasich Spares Life Of Convicted Killer Raymond Tibbetts, Associated Press, July 20, 2018; Kasich Grants Reprieve to Cleveland Jackson and Commutes Sentence of Raymond Tibbetts, Office of John Kasich, July 20, 2018; Atty Stmt Re: Breaking: Gov. Kasich Commutes Death Sentence of Raymond Tibbetts, July 20, 2018.) Read the Warrant of Commutation here. See Clemency, Innocence, and Prosecutorial Misconduct.